In March 2013 Dupuis, a Belgian comics publisher, asked our school to create a new and original licence for their online platform, which was about to be released on tablets and smartphones. The goal was to make a game for 8 to 14 years old players. During 10 days, we developed a prototype with a team of 10 students. 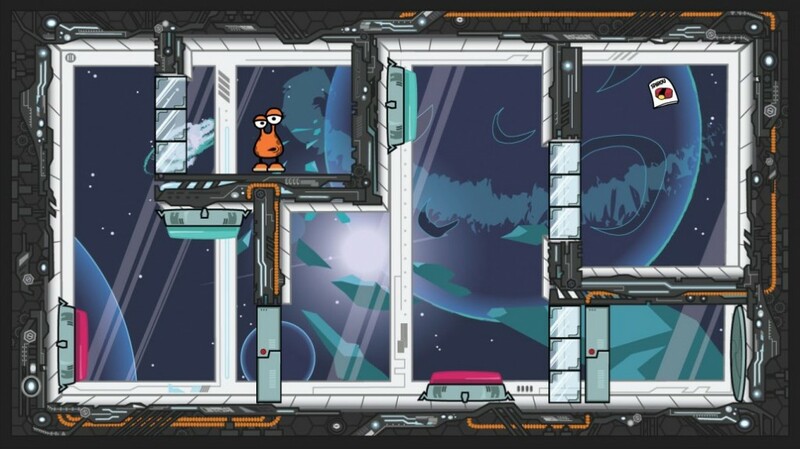 The gameplay was simple : the player can play with grativity by changing the tablet orientation to help the character (Smip) fix his damaged spaceship. The player can also interact with the objects in the comics bubbles casted by the avatar. The objects in the comics balloons are triggered by the interaction between Smip and his environment. For example, if he falls on an electric beam he’ll start to be angry and things like a bomb may appear in his speaking bubble, like old Franco-Belgian comics. Then, the player can drag and drop this objects and use them to continue his journey through the ship. On this project, I was Game Designer, Level Designer and writter. I’ve collaborated with graphic team to create personnality and design of the main character, SMIP, and the design of his gameplay abilities, like his “plunger-feets”.